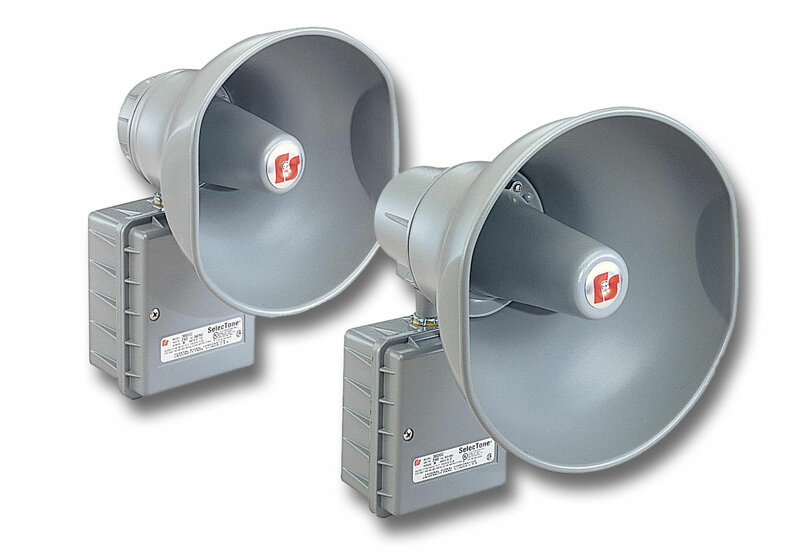 The Federal Signal Models 304GC and 314GC Amplified Speakers are designed to produce crisp, clear tones in supervised alarm notification systems. These amplified speakers can broadcast tones generated by a tone card installed into the speaker (the plug-in 32-tone UTM*) or by a central tone source in a voice evacuation or paging system. When live public address or voice messages are required, plug-in Connector Cards (AM25CK or AM70CK) interface with the Vrms of the EVAC panel.